Lately you hear it all over the news: Drive a new car every 3 years! But if you aren’t the type to trade in your old for a new model every 3 years, you might find yourself craving the new car smell whenever a friend offers to give you a ride. 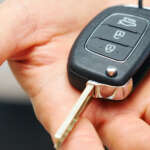 Don’t wait for something to go wrong before selling your car! While the exact time to sell and buy are debatable, there are some things you definitely should be aware of. As a rule of thumb, the best advice is to actually hold on to the car until it reaches its break-even point, which is when the trade value of the car equals the amount still outstanding on your vehicle financing. Normally, the break-even point on a vehicle finance agreement over 72 months usually arrives between 48 and 52 months into the contract. If you don’t, you might be faced with additional charges to the vehicle finance agreement. The reason for this is that the value of the car would’ve depreciated faster than the instalments that you’ve been paying. Just remember that you want to sell your car before the warranty runs out. The idea is to hold on to the value of the vehicle and by selling it sooner, rather than later, you reduce the chance of the value dropping dramatically. Is the car costing you more than it’s worth? Has the brand been discontinued, resulting in spiked repair costs and parts sourcing? Is the warranty about to run out? Is your mileage more than 250 000km? Let’s leave you with this: Most cars depreciate at a rate of 15-20% per year, and by year 5, your vehicle will generally be worth half what you originally paid for it. That’s why a car seller must always remember that a vehicle is only worth the amount of money that someone is prepared to pay for it. Luckily for you, if you decide to sell your car through us, we guarantee to buy your vehicle for the quoted amount on the app. That’s how confident we are that our prices are the best!